We’d love to talk 01737 652 221 or simply sign up! Why do we use Xero? We always aim to use the best processes and systems for our clients. 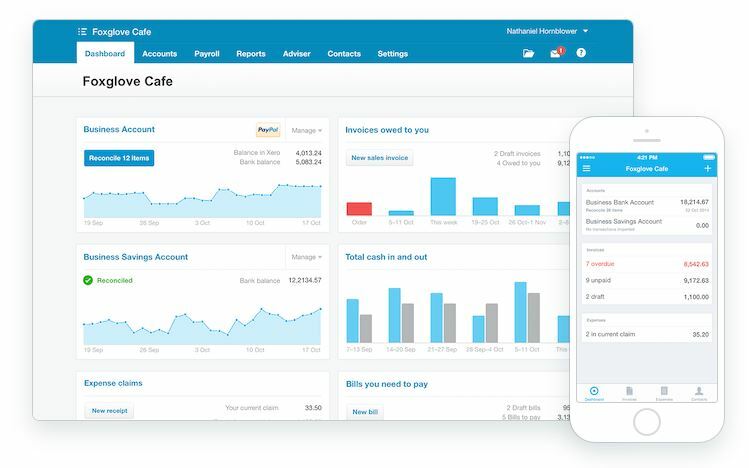 Xero is a cloud based accountancy solution (so it is based on the internet) that is easy to use and allows clients to get a better understanding of how their business is performing. As Xero is cloud based it allows access from anywhere at anytime, you can even get a Xero app for your smartphone. Run your business and access your accounts from work, home or on the go. Invite others to view your accounts and provide valuable real-time advice. Your data is completely secure even if your computer is lost or stolen. Get paid faster, receive updates when the invoice is opened and connect seamlessly with customers through online invoicing. Create professional recurring invoices and schedule bill payments to manage cash-flow. Payments, returns and credits are all tracked automatically. The Xero hosting and service delivery infrastructure ensures the highest level of security. This is supported by a world-class network, data and physical security environment. Security is an ongoing process, not a singular event – We continuously evaluate and reinforce our security policy and practices. Use Xero Touch on your mobile device to manage your business while you’re on the move. Reconcile, send invoices and create expense claims – from anywhere. Sick of logging and filing your paper receipts? Use your camara phone to capture and store your receipts in the cloud. This is the pulse of your business. See all your bank balances, invoices, bills and expense claims at a glance. Add new transactions with a click. Interactive graphs show money going in & out, and the watchlist lets you monitor specific accounts. We are certified Xero accountants in Surrey. We will set you up with Xero, pay for it, and teach you how to use it. Not local to our locations? Not an issue. We work ‘in-the-cloud’ and can do everything we need to do for you, remotely. All of our accounting packages can include Xero free of charge. Your Finance Team Ltd, 15 Bell Street, Reigate, Surrey RH2 7AD, United Kingdom.